Never fear! 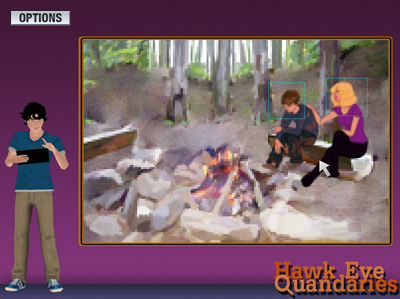 Plucky Pre-teen Twins Josie and Justin Hawk are on the case. Not that we actually feared anything, and why are we listening to some 12 years olds solve crime? 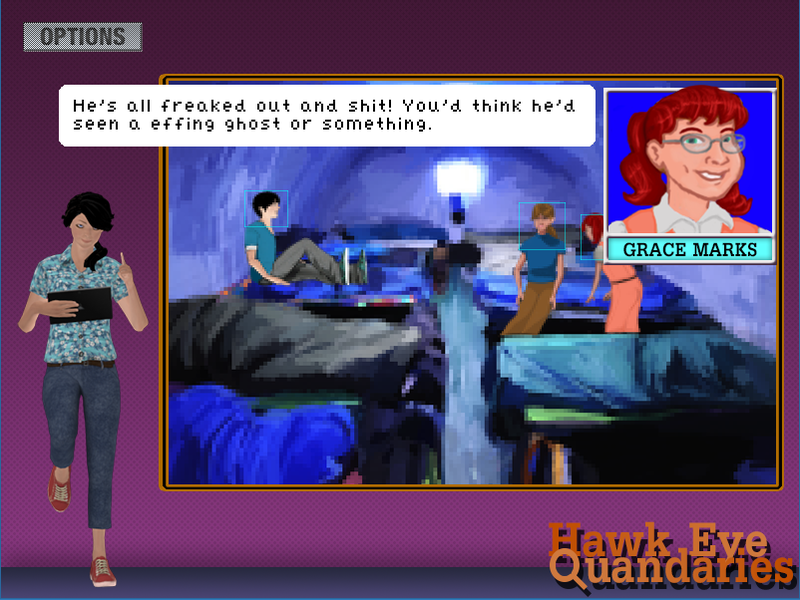 [BR] Hawk Eye Quandaries is based on the 1993 title "Eagle Eye Mysteries" but whereas they had over 50 cases, HEQ has three, with a view of adding more over the coming months. Nice little game. The junior detectives are adorable as they jot down notes on their touchscreen devices and exchange some awkward dialog. Once you've mastered the technique of moving around (click on their legs) then you're laughing. Sift through the data and pick five key facts to crack the case. The structured nature of each case forms a simple blueprint for adding new cases by the authors as well as other budding detectives.